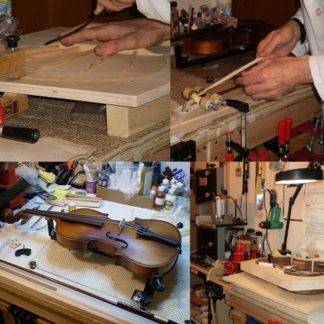 Lutherie Repair for Guitars Violins & Cellos (Minute Rate) - AZG Musical Inc.
View cart “Lutherie Repair for Guitars Violins & Cellos (Minute Rate)” has been added to your cart. Minute lutherie repair rate (by our Brooklyn Luthier) in our Brooklyn, NY shop (guitar repairs, vioin repairs, cello, double bass repairs) is $1.25/min. Call (718) 972-4611 for more information. 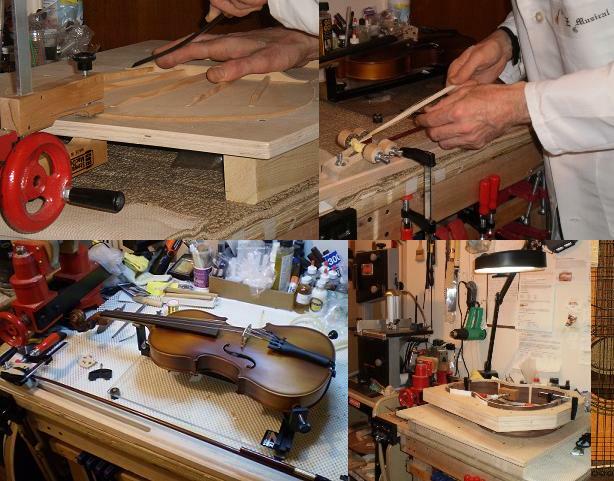 General hourly lutherie repair rate for non specified repairs in our shop at 16 Ave & 55 St in Brooklyn, NY (guitar repairs, violin repairs, cello repairs) is $1.25/minute ($25 minimum charge). Repair & player advice available in our blog . Get professional quality Lutherie at student prices! Tuning Machines replacement and adjustment [$=labor plus parts]. Nuts & Saddles refinements and replacement are hand carved & radiused to match fretboard radius; available in bone and plastic. Fret work: level & crown[$85], refrets (partial[$15/fret] or total[$300]). Includes neck adjustments. Fret work: trim down and polish all fret ends [$65-$75]. Broken-Headstock repair with touch up[$150]. Crack repairs of top, back and side [w/o touchup: $10/in. * $10/cleat*$35 minimum]. Setup of acoustic guitars (includes neck adjustment, restring, nut and saddle adjustments) [$65-$85]. Tuning pegs[$75/set, $20/each] / End-Pins [$20] are built, shaped and lubricated to fit properly for smooth operation and ease of tuning. Bridges are hand carved, fitted, tuned and adjusted to obtain proper action feel and playability[$65]. Special orders extra. Structural Repairs, cracks[$15/in], separated seams(top, back, & sides)[$5/in.$25 min], broken peg box, fingerboard. All work done using hide glue. Neck reglue with minimal touchup [$100]. Overall evaluation & setup [$85] to include nut & bridge work, restring (string Xtra). Bow Tip Repair: replace bone tip of bow head [$75]. Tuning pegs-new [$100/set, $30/each]. Peg box and pegs are built, shaped and lubricated to fit properly for smooth operation and ease of tuning. Bridges are hand carved, fitted, tuned and adjusted to obtain proper action feel and playability. [$150] Special orders extra. Neck reglue with minimal touchup [$150]. Bow Tip Repair: replace bone tip of bow head [$85].